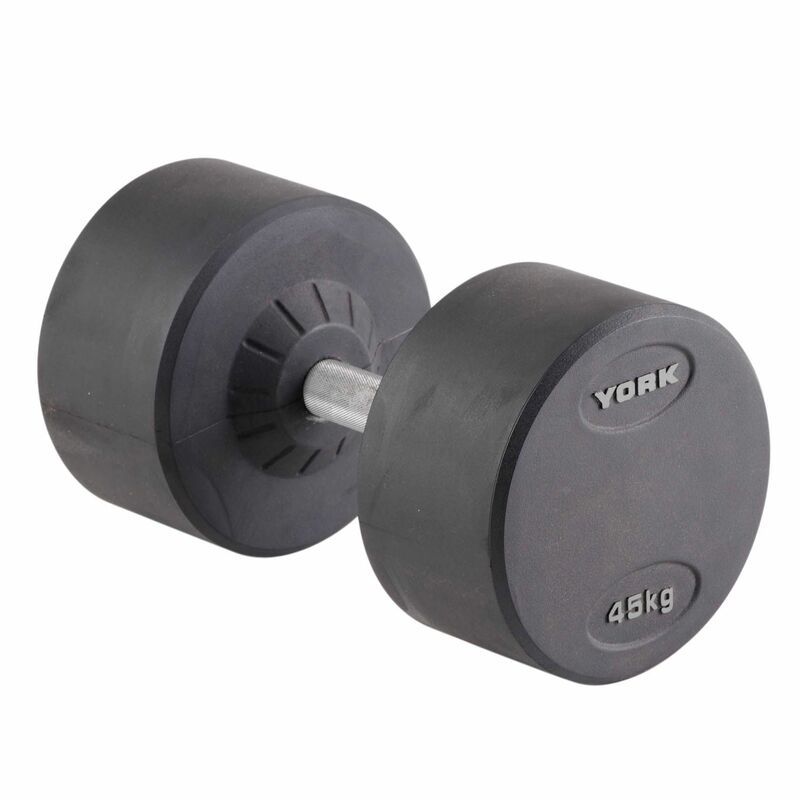 The York 45kg Pro-Style dumbbell is a high quality, professional dumbbell made from solid steel. It offers chrome finish and utilizes urethane/rubber weighted fixed ends for enhanced durability. The dumbbell is widely used by the military bases in the UK and the USA, the HM Prison Service and in many professional sports clubs. Thanks to the knurled textured handle, the York Pro-Style dumbbell offers great balance and firm grip. It is sold individually. for submitting product review about York 45kg Pro-Style Dumbbell.